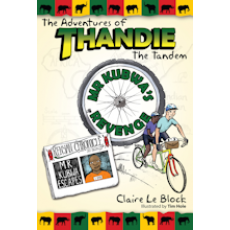 When Mr Kubwa escapes from prison, Uncle Max sends Timmy and Thandie to the safety of his friend in Zambia. Little does he know, Mr Kubwa’s spies are everywhere and it is not long before they are tracking this ordinary boy with his extraordinary bicycle. Timmy and Thandie have adventures with pangolins, deadly snakes, crocodiles, professional cyclists, and WW1 warships as well as rescuing an American tourist from prison. All before their final showdown with Mr Kubwa and his gang.